Computer programmes are continuously getting bigger and more elaborate year by year. More information is having to be stored digitally. In many cases, this requires expanding both physical and virtual memory. Fail to keep up with the increasing memory demand and your computers will clog up and crash. 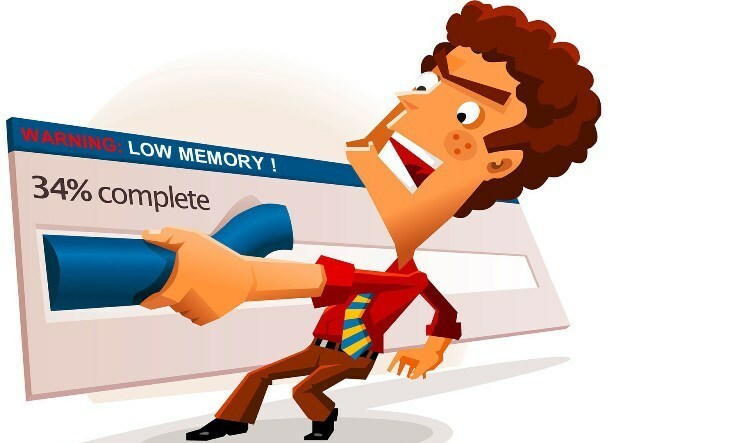 Fortunately, there are many methods out there of boosting your data space – so many methods that running out of memory needn’t ever be concern again. Here are just a few ways that you can make data storage concerns a distant memory. Cloud technology is all the rage nowadays. It’s a lifesaver for businesses, allowing you to store all your files remotely on a shared server, freeing up space on your devices or local server. 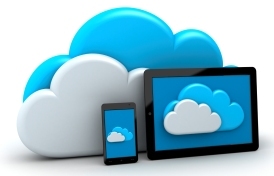 These cloud-stored files can be accessed from anywhere in the world and from any device. If you need to open up some work documents on your smartphone on the way to a meeting, you can do. Having all your files on the cloud can also keep your business secure against natural disasters or fires. If the office and all your computers get destroyed, all your information will still be accessible. Similarly if a burglar breaks into your office and steals a computer, they won’t have stolen your files as they’ll be far away on cloud server. New disaster recovery services are now being set up that can cut off access to the cloud temporarily if a hacker breaks into one of your devices. There are concerns that hackers may eventually be able to get into these cloud servers, however security on these cloud servers is often the best money can buy, incorporating a complex method known as ‘sharding’ that jumbles up and encrypts all your files. It’s certainly much safer than storing files on a local server. Fears are arising that eventually shared cloud servers will come under heavy attack from cybercriminals once everyone starts sharing their private information this way. This has led to businesses ditching shared servers for virtual private servers (VPS). Many companies can offer a Windows VPS, concealing the identity of the server’s location so that know hacker will ever know whereabouts your files are. Whilst more secure, these are much more expensive than shared cloud services. Another method is the old-fashioned local server. All memory is stored in a server in the office. This solution may be preferable to those that are uncomfortable with storing data remotely, however having a server in your office does it put under the same risks as storing data directly on your devices – all it takes is a fire to wipe it all away. Not everyone has so much data that they require servers. In this instance, external hard drives can come in use. They plug straight into your device, whether it be a computer or a tablet. 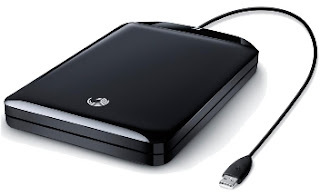 The external hard drive can be taken around with you and moved from device to device. An even more rustic method for storing extra files is a memory stick or USB flash drive. These are even more portable than external hard drives, but offer very little storage space. If your computer is overflowing with data, a memory stick is unlikely to be the solution that you’re after. If it’s just a single device that’s low on storage space, you may be able to free up a little more room by getting rid of a few programmes that you don’t use. Few of us use every programme that is available to us. If you’ve never had to use an Ethernet cable and never plan to, you could disable this in your Device Manager. Certain programmes such as Skype may automatically run in the background that you don’t need to be running 24/7 – you may be able to stop these so that they only run when you open Skype manually yourself. Similarly there may be programmes that can be uninstalled. Consider browsers that you never use, file converters that you perhaps once used a year ago or files which you literally have no recollection of installing (they could be malware). When it comes to smartphones, try deleting unused apps. If you’re hoarding files on your computer, you may want to come up with a system for regularly decluttering these files. You may be able to delete information on clients that you have not worked with for five years, or old details of past employees. There may be notes that you no longer require. Similarly, try and find time to clear your inbox. There may be some emails that you kept as a reference from years ago but no longer realistically need. If you haven’t already got a spam filter in place, this could also be useful for automatically getting rid of some emails that serve only to clog up your inbox. Make sure to keep on top of texts and photos on your phone too if this device is starting to become low on memory. Photographs and videos in particular will be taking up space and could be transferred to your computer or onto the cloud so that they can be viewed from any device. The filing system used by modern PCs involves placing pockets of memory all over the place. Whilst this is a fast method of storage, it has the effect of a shopping bag in which everything has been shoved in willy-nilly. Occasionally, a PC will need to be defragmented – which is essentially like repacking a back in an organised manner in order to allow more items in. When computers haven’t been regularly defragged, they’ll often start running extremely slowly. Most modern computers automatically defragment, although it’s worth checking that this automatic defragmentation feature is on. You can also manually defragment your computer at any time.